FIFA World Cup, the biggest sporting carnival in the World kicked last month and has concluded with France coming out as the World Champions. With so much going on already in the world of football, we at Jersey Magazine have decided to compile the top news from the Indian, that you may have missed. 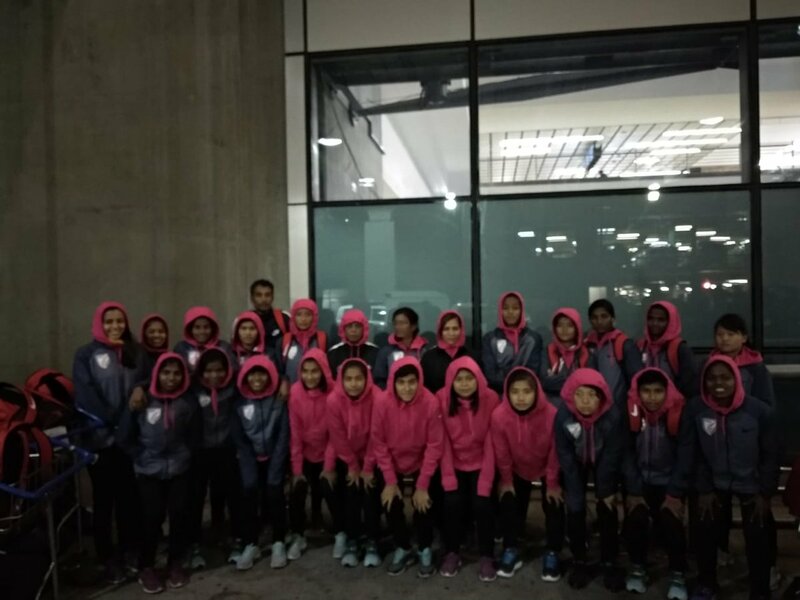 Following the week long Indian U-17 Women’s National Team Camp in the capital at the Jawaharlal Nehru stadium, 20 players have been selected for the Indian U-17 National Team who’ll participate in the BRICS U-17 Football Tournament in Johannesburg, South Africa. The Indian prodigies will face the likes of Brazil, Russia, hosts South Africa and China in the BRICS U-17 Football Tournament. The competition will commence from 15th July in Johannesburg. However, the Coach is unfazed by the big names, as she confidently claimed, "India might surprise the big names when we face them in the BRICS tournament”Hope, we do! AIFF recently stated that for the 2018-19 I-League season, they are going to offer INR 45 Lacs to each of the participating I-League Clubs for their Hotel stay and Air Travel during their Away Games. Last season, this subsidy amount from AIFF to the I-League clubs were 70 Lacs and as a result most of the I-League Clubs are not happy with the amount offered this season. Minerva Punjab owner was vocal about his displeasure, he claimed that the amount AIFF is offering doesn't even cover 40% of the cost a team spends on Hotels and Airfares during the Away matches. He blasted AIFF saying that the amount is a “Big Joke”. Neroca FC Owner too was discontent with the subsidy amount from AIFF and feels such less amount of subsidy is going to affect teams like Neroca, who are not known to have strong sponsors. This season I-League will start from the 3rd week of October whereas Indian Super League will be kicked off on 21st September. Though ISL will be stopped during early January when India would be playing in the Asian Cup, however there won’t be any such interruption in the I-League. Also I-League teams can now sign any six foreigners without signing any Asian quota player in the 2018-19 season. Kerala Blasters are all set to host La Liga Side Girona FC and A-League side Melbourne City in India for their pre-season friendlies at the end of this month. Last season, the Catalonian club, Girona FC finished in the top half of La Liga, ahead of teams like Espanyol, Malaga and Atletico Bilbao. Elsewhere, Melbourne City finished third in the Australian domestic League. Kerala Blasters have already reached the Transtadia Stadium in Ahmedabad to take on the above mentioned teams in the Toyota Yaris LaLiga World, starting from 24th July. Talks with the CHINESE and SAUDI ARABIAN Football Federations are in advanced stages for friendlies during the October—November period. These International friendlies will be played right after the 2018 SAFF Championship scheduled in the month of September. These two friendlies are said to be almost confirmed and if everything goes right, we might see INDIA play one Home game and one Away game against two to the best Asian sides, one of which has recently been seen in the World Cup. Both Indian U-19 Men and Women teams are scheduled to participate in the COTIF U-20 tournament in Spain. The U-19 Indian Men's side will play against the likes of Real Murcia U-20, Argentina U-20, Venezuela U-20 and Mauritania U-20 teams in the group stages. The tournament will kickoff from 29th July. On the other side, the Indian U-19 women’s side will play against clubs like Albacete, Levante, Madrid CF and U-20 Morocco Women's Team. After MS Dhoni, Mary Kom and Sandeep Singh, a biopic on India’s legendary football coach Syed Abdul Rahim is in the pipeline. Actor Ajay Devgan will play Syed Abdul Rahim’s role in the sports biopic. Syed Abdul Rahim served the Indian football team as the coach and manager from 1950-1963. It was under his guidance that the Indian football team won Gold at the 1962 Asian Games and he also led the team to the semi-finals of the 1956 Melbourne Olympics. He died of cancer at the age of 54. Did you like our new feature The Capsule?